For over twenty years I've trained or raced on every bike frame material from plywood to carbon fiber. And I've confirmed what nearly every bike aficionado already knows: Titanium wins the durability prize; Aluminum's cost-effectiveness is unrivaled; And carbon shines when lifting a bike onto a roof-rack. But for many of us who love to RIDE, these are trivialities. After hours in the saddle, it's worth asking 'What's the material you most want to ride the NEXT day?' For me, it's that of my first-ever race bike… And my last. When spec'd with choice carbon and aluminum components, it's a steel frame that hits the elusive sweet spot between comfort and performance. A custom steel bike provides an unparalleled connectivity between rider and road, just as it did over a century ago. 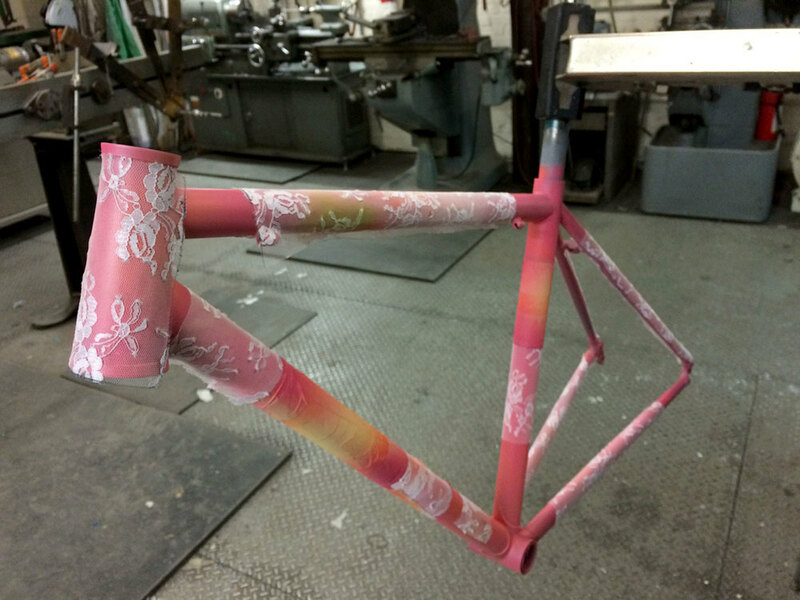 Nomad frames are handcrafted by me in Massachusetts from Columbus steel. They are also coddled until worthy of both our names. The head-tube joints are TIG welded for a clean appearance and to keep the weight as low as possible. A lugged bottom bracket and drop outs are silver and/or brass brazed, and each frame is paired with an Enve carbon fork. For further tech details and current pricing on frames, components and paint options email, contact me and let's talk bikes!